Its me Brandan. Have I told you how much I love you lately? No? Well I do, and now seems like the perfect time to let you know that. We're both old enough to know how each other works right? Well, I always felt I knew you like no other did. I was there through your marriage, your possession(s), weird relationships and countless hairstyles and outfits. I say this not to reminiscence but to remind. 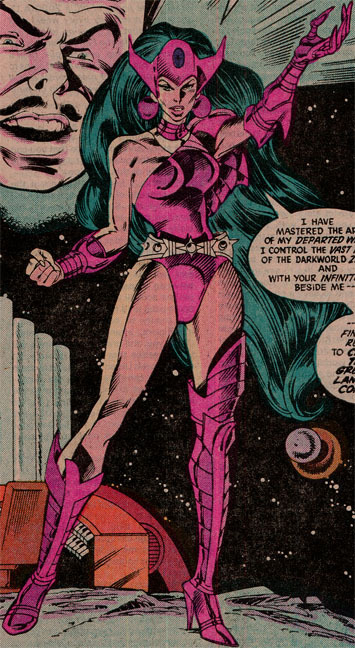 I love you Carol Ferris, and it's because of that love that I must tell you how much your recent decisions are literally killing me. Lets start with the alien thing. Is this a phase? Carol, you're not in the 80's anymore. You can't just walk away from these huge problems in your life, especially when that problem is your position as QUEEN OF THE ZAMARONS! Hey, I understand it's a big role to take on. I also seem to remember that you like to remind people of just how long and well you've been running Ferris Air. You can do this, I know you can. So when I see you completely walking away from a task that daunting, it hurts. Be the Queen, Carol, because they need you. No one ever says "Tenth times the charm." Very astute, well thought-out, and-- Wait, this is comics, there are people punching continuity in this world. I guess making no sense is just par for the course at this point. 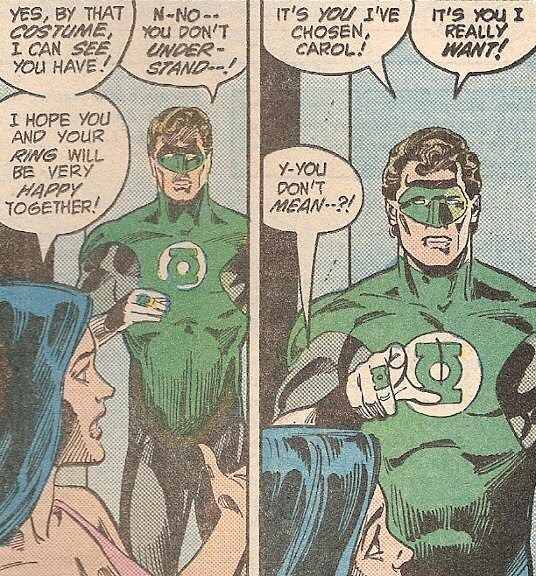 That said, I'm not the least bit fazed at Carol's current decision-making skill, Hal-related or otherwise. And honestly, if she has really given Hal that many chances already, those two broken-inside people deserve each other. She could date John Stewart. He only gets planets killed. Nice, but I respectfully disagree. Brandan is apparently unaware of the long history involving Hal and Carol. Their many adventures together. Their many couplings. The times he has saved her. The times she has saved him. But enough of the heroic stuff. 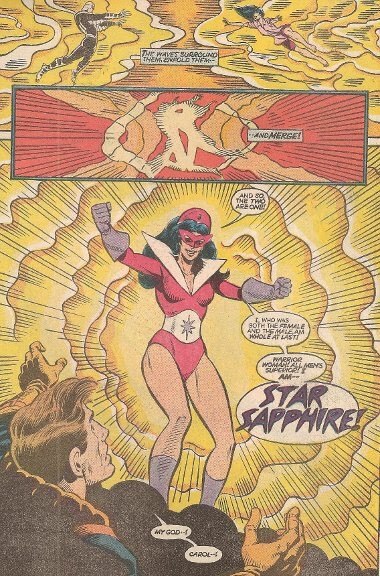 Perhaps it's a romance that hearkens back to another age (my age...sigh...I've loved this match-up since I was ten years old myself), but it's been there since before Showcase #22, through Gardner Fox and John Broome to Gerard Jones and all the other great writers to Johns, and methinks it still has possibilities. Many times has the depth of their love been brought out. And I repeat, four of the five major breakups have been Carol's fault. Oh. One more thing. No long-term relationship ever survives without the parties giving each other constant second and third and tenth and thousandth chances. How many times have I forgiven my husband of 31-derful years for his foibles? Many times daily. How many times has he forgiven me for my thoughtlessness, my absence, my denseness? Just as many. That's life. That's wanting it to work. That's making it work.